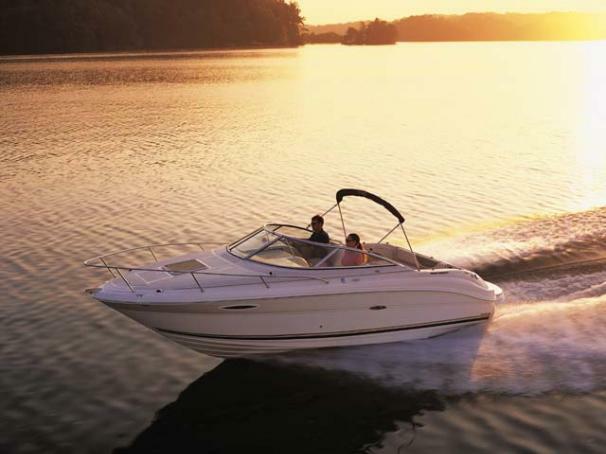 Boat Description Leave worries behind when you board this luxurious 225 Weekender. The designer cabin features a cozy V-berth that converts to a dinette, enclosed head and galley with sink, faucet and built-in ice chest. Additional features include Sunbrella bimini top, extended swim platform and 12V Clarion AM/FM/CD player w/Sirius Satellite Radio.